The Homewood Suites by Hilton Reno Nevada hotel is centrally located just minutes from downtown Reno and Reno-Tahoe International /RNO/ Airport. Located near numerous local businesses including Microsoft UPS Philips Clorox Wells Fargo Barnes - Noble.com Intuit University of Nevada Washoe Medical Center and St. Mary*s Medical Center. This Homewood hotel is located only a short drive away from Lake Tahoe and the Nevada state capital city - Carson City. 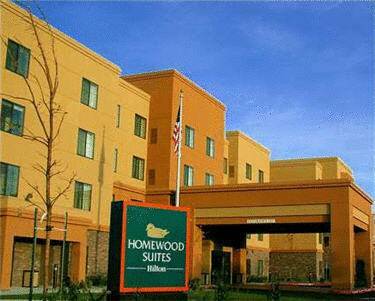 The Homewood Suites by Hilton Reno Nevada hotel features 96 suites with separate living and sleeping areas. All suites have a fully-equipped kitchen with a full-sized refrigerator microwave oven stove top coffee maker dishwasher pots and pans dishes and utensils. In addition each suite has two-line phones high-speed internet access and data ports cable with movie channels to help keep you connected and relaxed. We do everything we can to make our guests comfortable. The Homewood Suites by Hilton Reno Nevada hotel features a business center complimentary hot breakfast buffet daily and a Welcome Home Reception on weekdays complimentary local phone calls on-site laundry facilities and complimentary grocery-shopping service because we know that personal touches help you feel at home on the road. Make yourself at home.